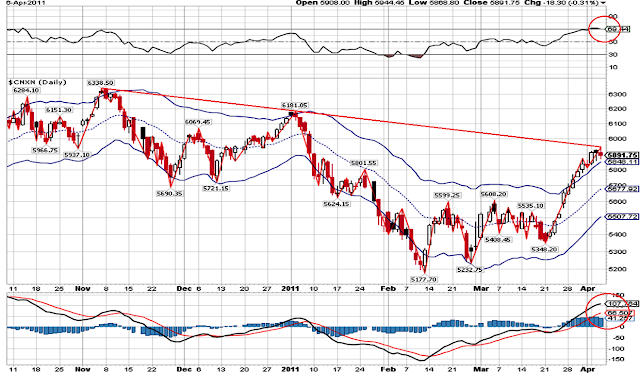 Nifty Daily Chart: As discussed yesterday in the overnight view, we need to watch out for today's action in nifty. Will Nifty hold on to the downward sloping trendline? RSI rolled over from the overbought zone yesterday while we need to see the sluggishness in MACD yet. Parameters are mixed and this morning session would give us better clarity.